Are you ready for your date with the Caped Crusader? 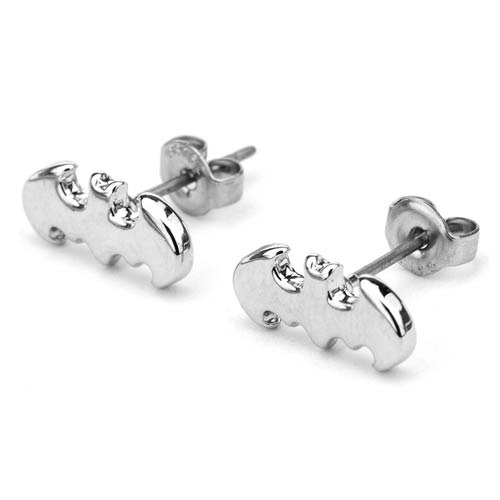 Wear these Batman Logo Silver Tone Stud Earrings to show your allegiance! In the shape of the Batman logo, they boast a shiny silver finish and stainless steel posts. There, now you're ready. Batman logo measures about 1/2-inch long. Ages 12 and up.